The Anglican parish church of St Benedict Biscop is situated at the centre of the large, attractive village of Wombourne, in South Staffordshire, which has a population of approximately 16,000. 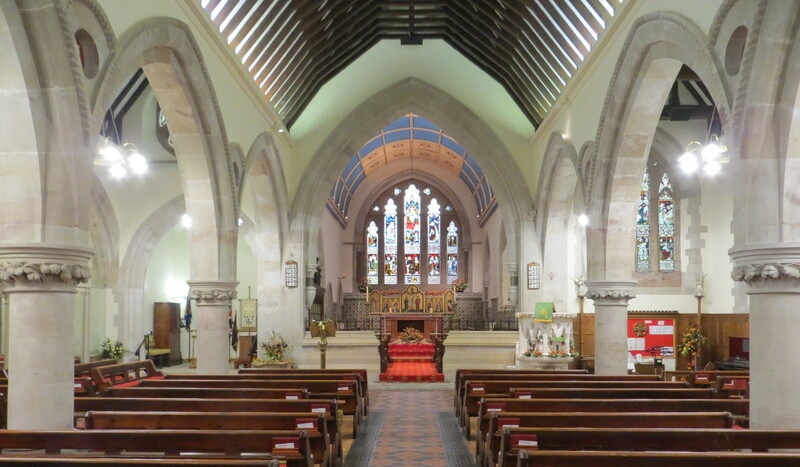 A church has existed on this site since Anglo Saxon times, more than 1,000 years ago, but has undergone a number of transformations in that time, from the original wattle and daub of yesteryear, to the present construction, dating back to 1867. We also have a sister church, built in 1957 – The Venerable Bede located less than a mile away on the western edge of the village, and also a church school. The Venerable Bede has a dual role as it houses a large hall which is used for many community activities and which can be completely closed off from the church at its far end. The village has five other churches serving the needs of the Catholic, United Reform, Pentecostal, Methodist and Baptist faiths. From an ecumenical perspective there is an active local ‘’Churches Together’’ group that meets regularly and has representatives from the Methodists, URC, Catholic, Pentecostal and Anglican congregations. St Benedict Biscop and The Venerable Bede form part of the Smestow Vale Team Ministry within the Lichfield Diocese and the team is led by the Rector Revd.Preb.Paul Brown. There are four other churches in the team ministry representing the surrounding villages of Trysull, Swindon, Bobbington and Himley. In addition to our team of Eucharistic Ministers, there is extensive lay involvement in the form of readers, servers, pastoral visitors, intercessors and those who work with our children and young people supporting our Children’s Worker (which is a paid post). St Benedict Biscop Foundation Primary School, which is situated close to the Parish Church, with a one form entry and thriving nursery, has approximately 300 pupils and is proud of its strong Christian ethos. The school joined the newly formed St Bartholomew’s Multi-academy Trust on 1st December 2016. 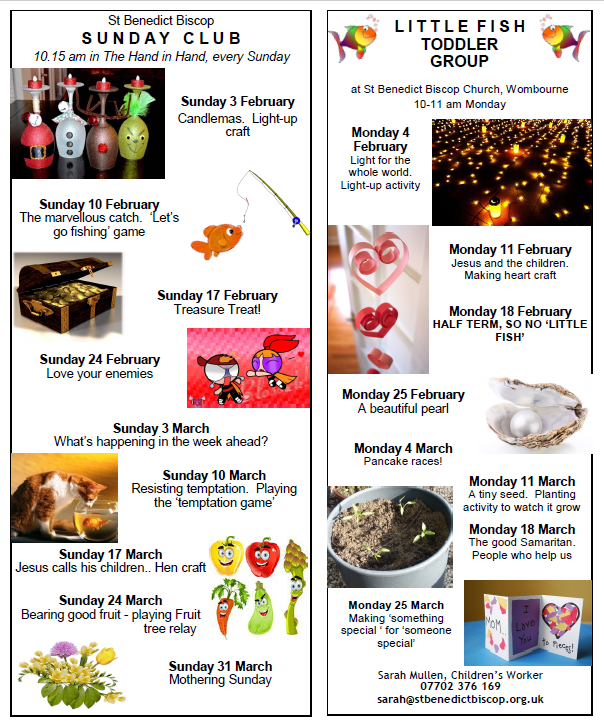 Wombourne provides the community with many opportunities for social and leisure activities and our two churches contribute to this, with an annual week long music festival, biennial flower festivals, regular concerts, quizzes, lunches and an Advent Fayre. In addition there is a Wives Group that meets twice every month and Dayspring, which is a church sponsored group for single, bereaved people, having a membership of around 70. The churches are proud of their record on pastoral care and have several trained volunteers to take Holy Communion to the housebound, in addition to a watching brief on a number of identified disabled or infirm people. The list of people requiring pastoral care is reviewed by the Pastoral Group on a regular basis, the meeting being chaired by the Rector. Naturally these activities meet national Safeguarding criteria and are carried out in line with our own safeguarding policies, copies of which can be obtained from our Parish Office, situated in The Hand in Hand Building, Church Road, Wombourne WV5 9EZ. In addition invitations to attend church are extended to all couples married in our churches and cards sent to all baptism candidates, for four years, on the anniversary of their baptism. The uniformed organisations are invited to attend and take part in special services such as Remembrance Day and Mothering Sunday. The churches have pledged to give away a certain amount of income annually to a range of local, national and international charities, after approval from the Parochial Church Council, the local governing body.